I could have gone with "Topps Reels In A Huge Exclusive" but that wouldn't do justice to the news that today Topps and Mike Trout announced a multi-faceted partnership. This exclusive deal means Trout’s autographed trading cards will only be found in Topps products. In addition, Trout will continue be the face of Topps BUNT, the mobile sports app for iOs and Android, in 2015. 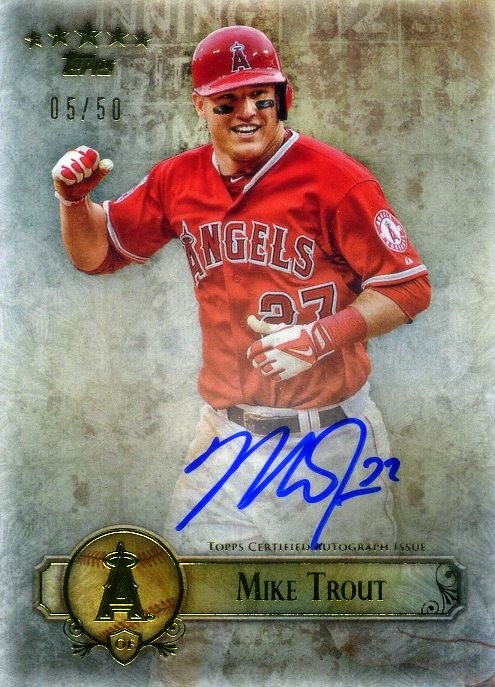 Trout’s cards will be available in many Topps 2014 and 2015 Baseball products including Topps Chrome, Triple Threads Baseball, Dynasty Baseball, Five Star Baseball and more. Topps BUNT 2015 will launch in late March of 2015.